NBA Approves New Lottery Reform. How Will This Affect Bitcoin Bettors? 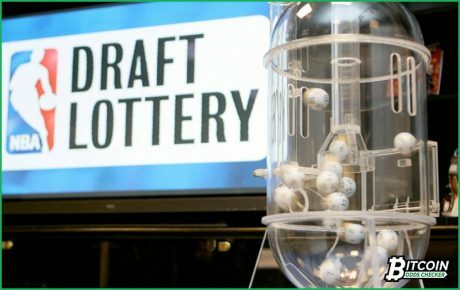 an attempt to combat teams manipulating the draft lottery, National Basketball Association (NBA) league commissioner, Adam Silver, along with the NBA board of governors approved the lottery reform proposal which seeks to lessen the top-3 worst teams’ chances of winning the number one overall pick in the draft and lessen chance for other teams as well. The proposal underwent approval on September 28, 2017, but will only reflect the 2019 draft lottery and the succeeding events. How will the Bitcoin sports betting community cope with these changes? With the many issues surfacing the league, Silver tried to tackle one thing. With the current draft lottery process, the team with the lowest standing has a 25% chance to land the number one pick while getting a sure shot at the lowest, the number five pick. With this, lower-tier teams purposefully lose their games (tanking), in hopes of resurrecting their franchise by getting a rookie–expecting him to be the superstar they need. With the newly approved proposal, the team that finishes the season with the worst record will only have a 14% chance at the number one pick. Also, this will affect the second-worst and third-worst record team holders by having all the same odds. Change For The Better Or None At All? Although, many analysts are not complacent with the rule change, expecting teams to still tank games and pointing out that the board of governors is made up of team owners themselves who are also less keen on totally removing the fastest way to put a superstar on its team’s lineup using the cheapest possible method. Additionally, this may not alleviate tanking, but it may lessen the initiative to do so. Teams may decide whether it’s worth it or not, but for now, we may say goodbye to ‘Trust the Process’. Will This Affect Bitcoin NBA Betting? For those who place Bitcoin bets on NBA matches, this may affect the usual over/under totals wagered on; thus, altering how you place wagers along with the different strategies you consider employing. Nonetheless, this rule change will be implemented in next season, so don’t expect teams to lose more than they should.